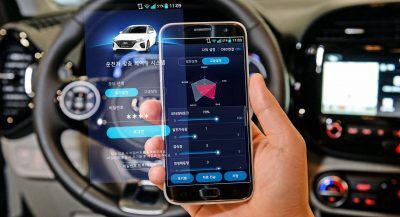 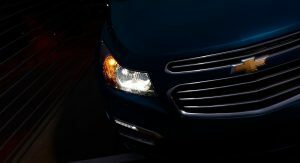 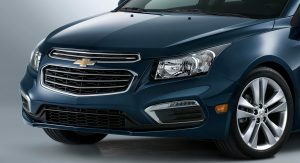 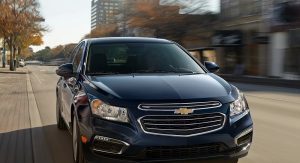 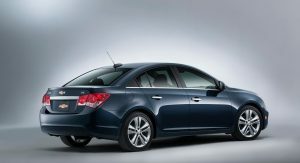 GM’s Chevrolet Cruze sedan has received one final round of cosmetic and tech updates before it gives way to an all-new generation model in North America within the next 18-24 months. 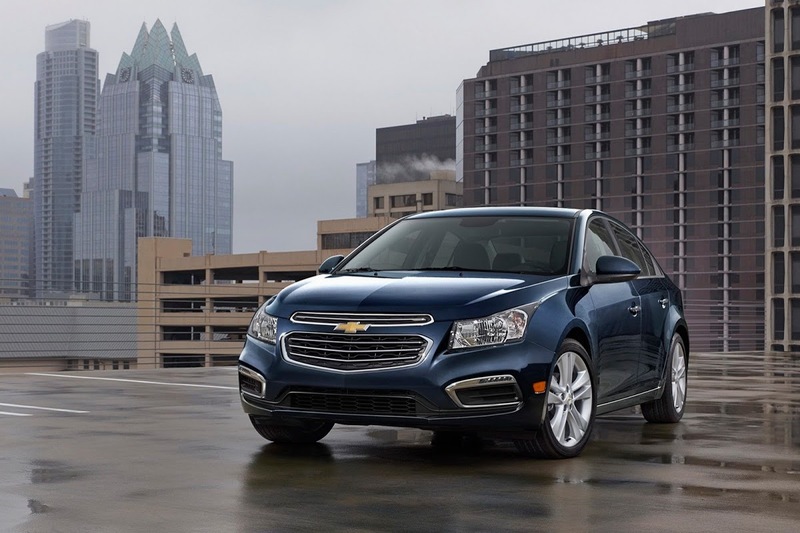 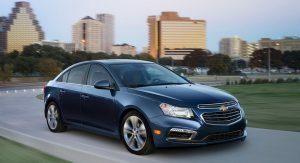 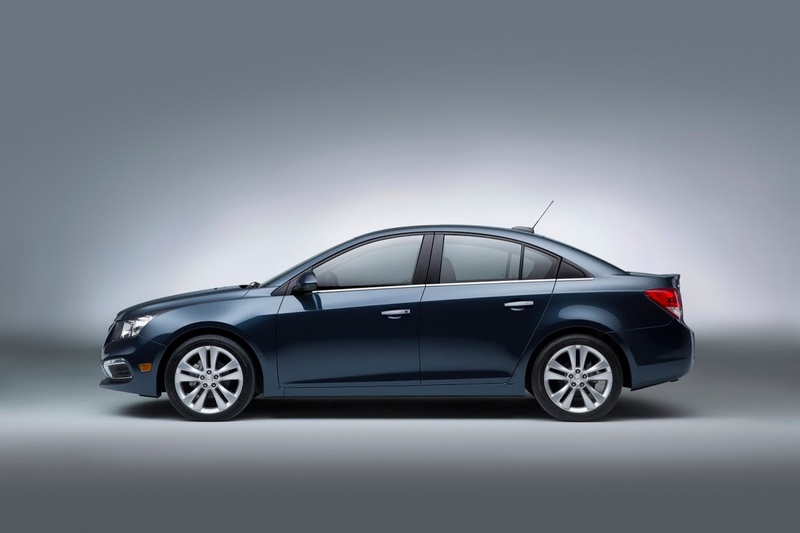 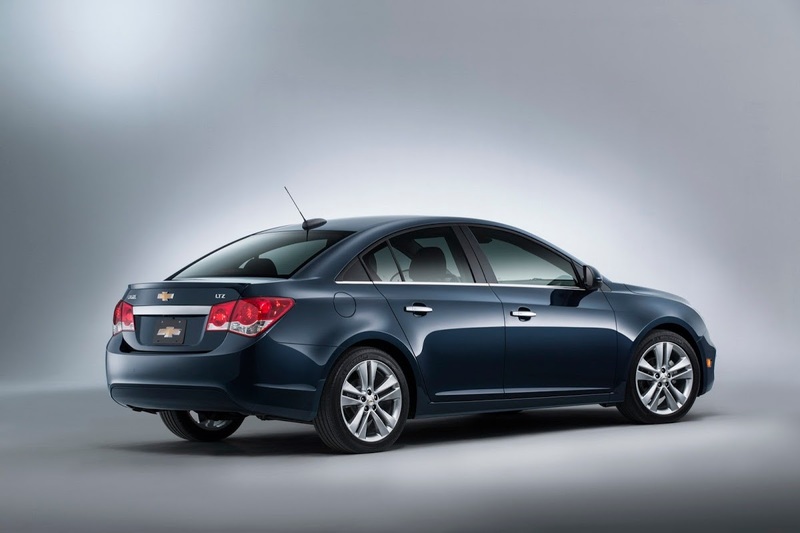 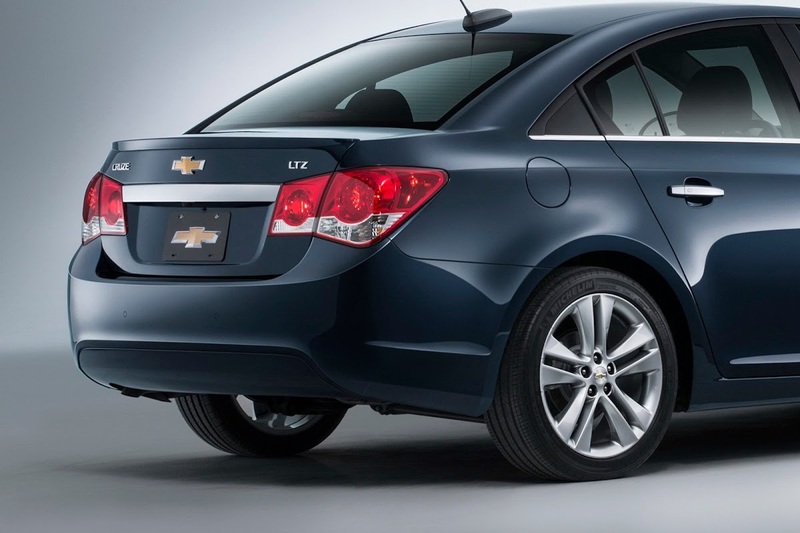 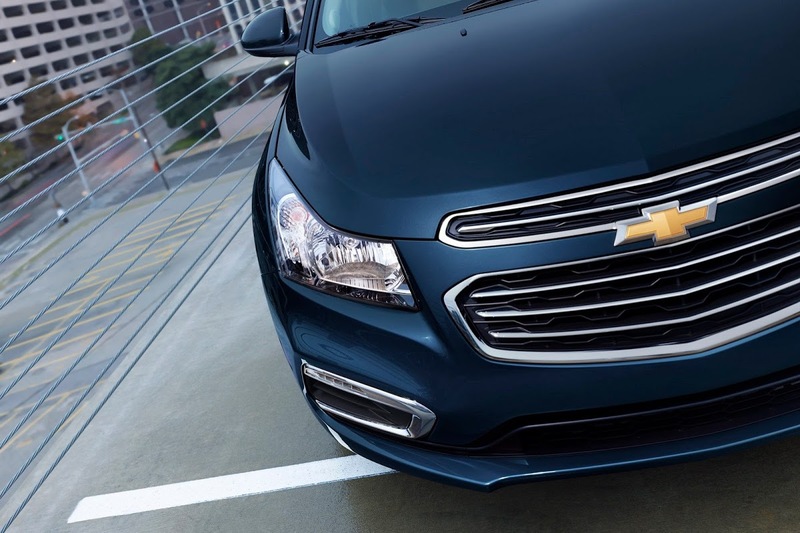 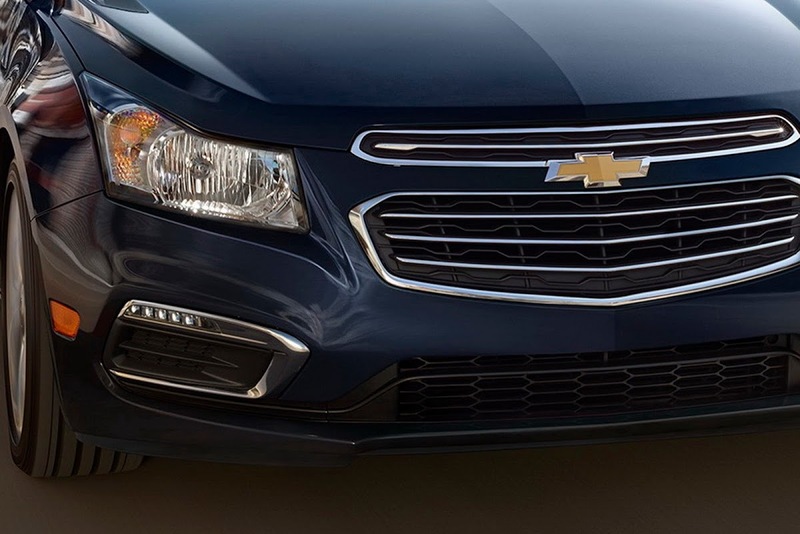 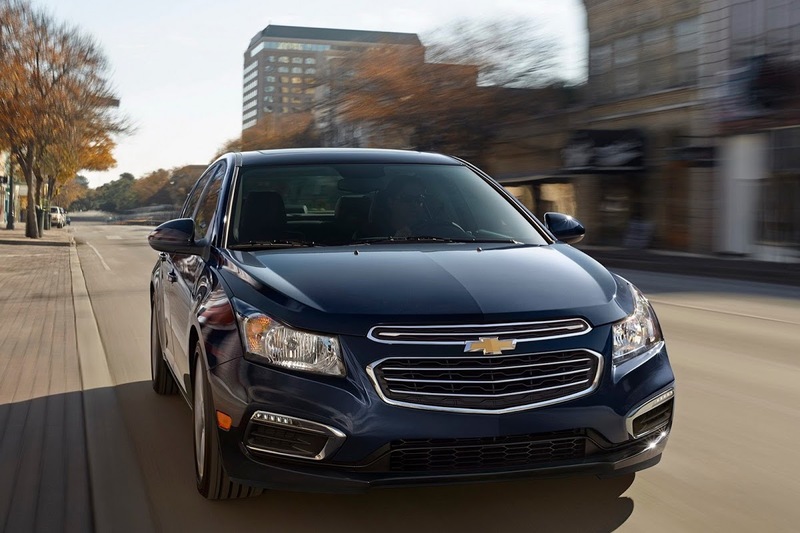 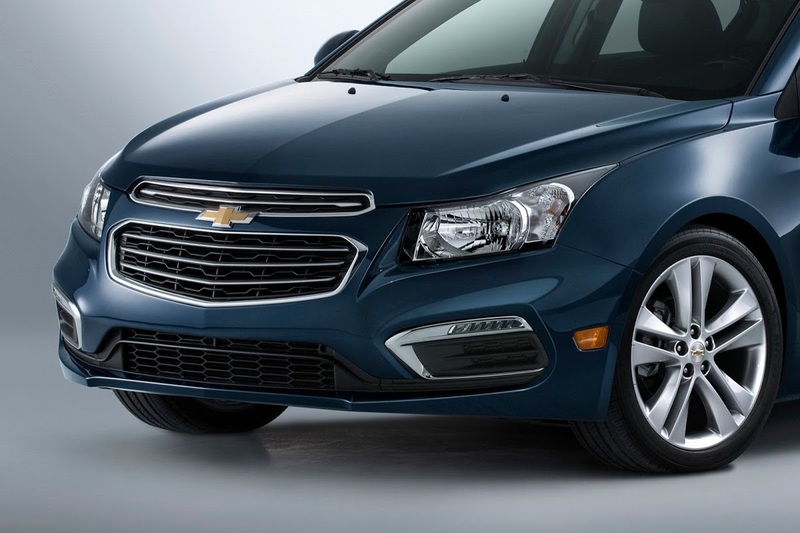 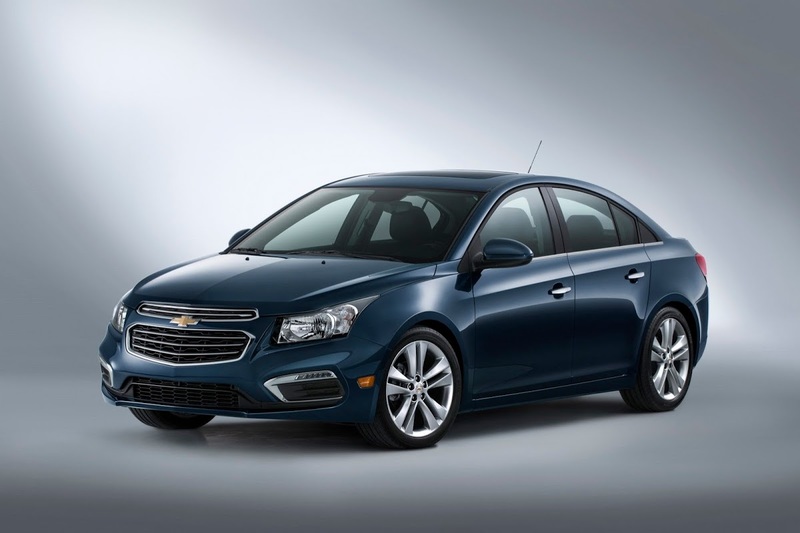 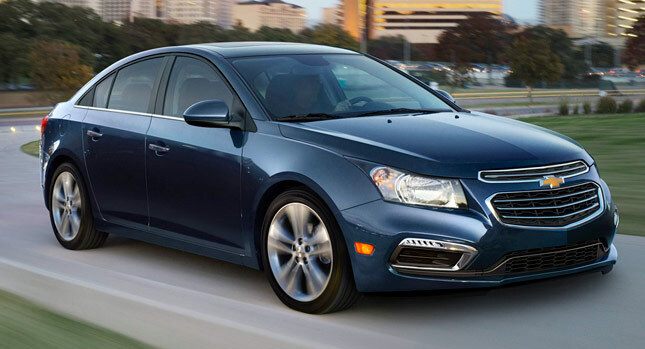 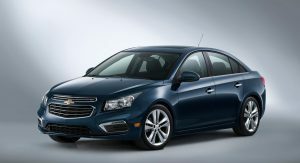 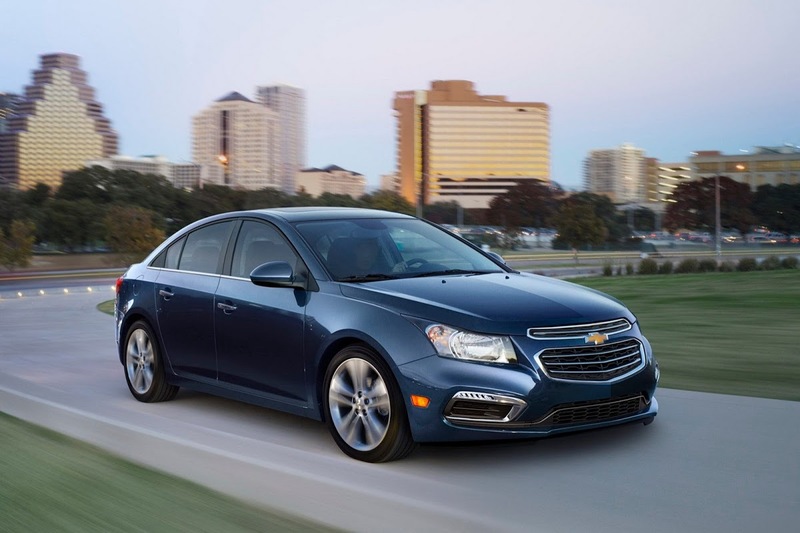 The facelifted 2015 Cruze will debut at the New York International Auto Show on April 16. 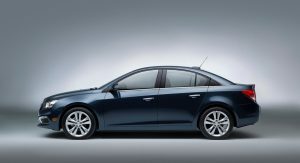 We’ll take a moment to remind you that the Chinese-specification version of the next generation Cruze was recently nabbed without a shred of camouflage and is believed to officially break cover at this month’s Beijing Motor Show. 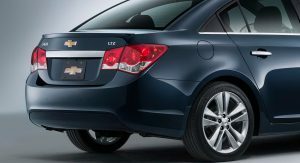 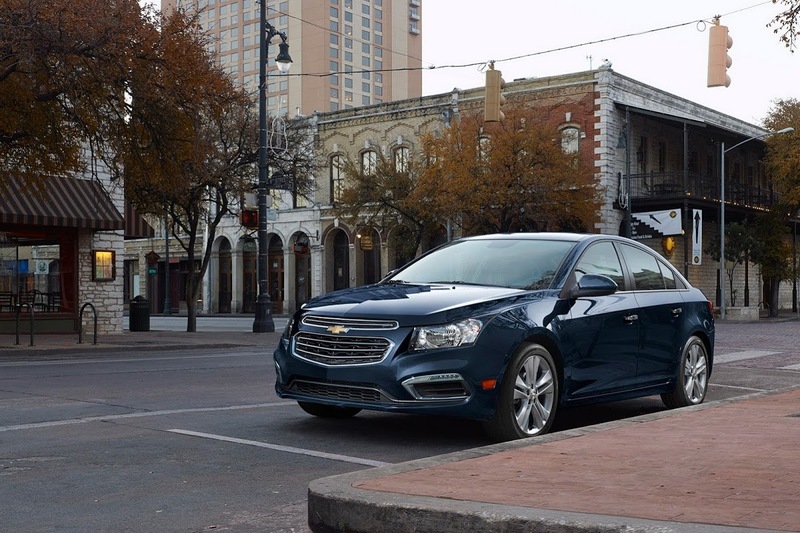 Back to the refreshed 2015 Cruze, GM says the mild exterior revisions were inspired by the all-new Impala and restyled 2014 Malibu sedans. 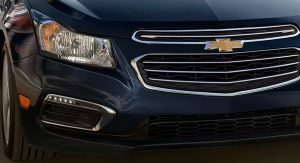 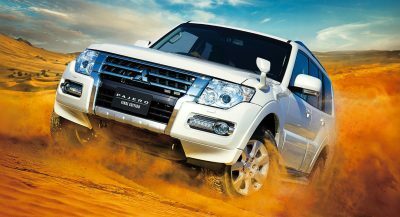 These are limited to the front-end that boast a more elaborate dual-port front grille with chrome surrounds and a re-profiled bumper that houses LED daytime running lamps on LT and LTZ grades. 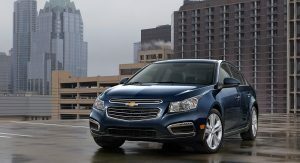 GM didn’t share interior imagery, but says the revisions include new cup holders, the relocation of the trunk release button to the center console and the door look switches from the center console to the front doors, plus Chevy’s latest infotainment system with new features like Text Message Alerts, OnStar and MyLink with natural language voice recognition and OnStar 4G LTE with built-in Wi-Fi hotspot. 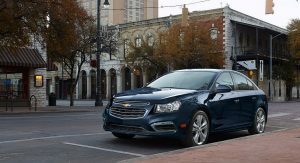 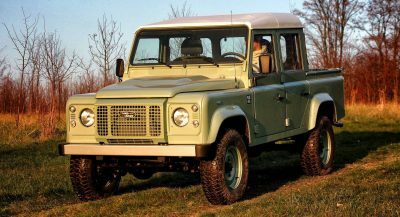 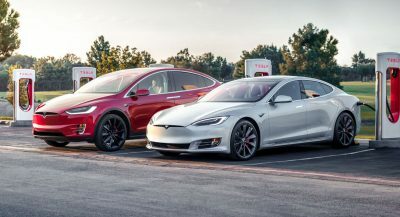 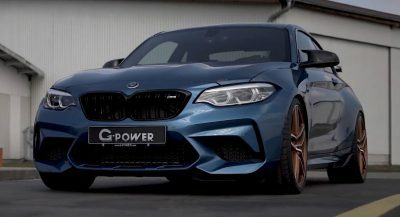 New exterior and interior colors round out the upgrades for the 2015 model, which keeps the same engine range as before, including the gasoline-fueled 138hp 1.8-liter four-pot and 138hp 1.4-liter turbocharged-four, and the 151hp 2.0-liter turbo diesel that returns an EPA-estimated 46 mpg highway.